This iV-Pro Model iV-DA2BK-iP4-POE is a Ultra Metal 4 Megapixel 1580p Full iP-HD POE Security Camera with "THE NEXT GENERATION 4DX OV 4689 HD SERIES IMAGE PROCESSING SOLUTION" engineered to provide extremely crisp and clear images at minimal bandwidth. The Ultra Series includes a wide range of high performance IR Array cameras that are built to deliver exceptional video images with true vivid colors and wide and clearer night vision, thanks to the new Array IR technology that promises better results and a longer life span over any Cat6 Cable with iV-Pro s POE Switches which can achieve a distance of up to 100 Meters to 250 Meters including long distance transmission of up to 20 Kilometers using Fiber Optic Cables with iV-Pro s Fiber Port Switches. This iV-Pro Model iV-D21V-iP4-POE is a is a Ultra Vandal Metal 4 Megapixel 1580p Full iP-HD POE Security Camera with "THE NEXT GENERATION 4DX OV 4689 HD SERIES IMAGE PROCESSING SOLUTION " engineered to provide extremely crisp and clear images at minimal bandwidth. The Ultra Series includes a wide range of high performance IR Array cameras that are built to deliver exceptional video images with true vivid colors and wide and clearer night vision, thanks to the new Array IR technology that promises better results and a longer life span over any Cat6 Cable with iV-Pro s POE Switches which can achieve a distance of up to 100 Meters to 250 Meters including long distance transmission of up to 20 Kilometers using Fiber Optic Cables with iV-Pro s Fiber Port Switches. This iV-Pro Model iV-DA2WK-iP4-POE is a Pro Vandal Metal 4 Megapixel 1580p Full iP-HD POE Security Camera with " THE NEXT GENERATION 4DX OV 4689 HD SERIES IMAGE PROCESSING SOLUTION" engineered to provide extremely crisp and clear images at minimal bandwidth. The Ultra Series includes a wide range of high performance IR Array cameras that are built to deliver exceptional video images with true vivid colors and wide and clearer night vision, thanks to the new Array IR technology that promises better results and a longer life span over any Cat6 Cable with iV-Pro s POE Switches which can achieve a distance of up to 100 Meters to 250 Meters including long distance transmission of up to 20 Kilometers using Fiber Optic Cables with iV-Pro s Fiber Port Switches. This iV-Pro Model iV-C18W-iP4-POE is a Pro Metal Outdoor 4 Megapixel 1580p Full iP-HD POE Security Camera with "THE NEXT GENERATION 4DX OV 4689 HD SERIES IMAGE PROCESSING SOLUTION" engineered to provide extremely crisp and clear images at minimal bandwidth. The Ultra Series includes a wide range of high performance IR Array cameras that are built to deliver exceptional video images with true vivid colors and wide and clearer night vision, thanks to the new Array IR technology that promises better results and a longer life span over any Cat6 Cable with iV-Pro s POE Switches which can achieve a distance of up to 100 Meters to 250 Meters including long distance transmission of up to 20 Kilometers using Fiber Optic Cables with iV-Pro s Fiber Port Switches. 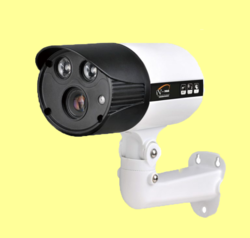 4 Megapixel 1580p HD Resolution with SMT Array IR up to 25 Meters. Advanced H.265 Compression technology takes less hard disk space. Excellent performance with the new 2D/3D Digital Noise Reduction. Flexible choice of 5MP lens from 2.8mm,3.6mm, 4.0mm and 6.0mm. 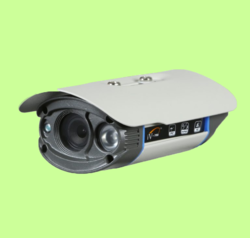 We Are The Leading Manufacturer And Suppliers of this IP C18W-IP4 - POE 4 Megapixel Camera in South India Such As Thiruvallur, Chennai, Kancheepuram, Vellore, Thiruvannamalai, Krishnagiri, Dharamapuri, Villipuram, Cuddalore, Salem, Erode, Namakal, Perambalur, Nilgiris, Coimbatore, Tiruppur, Karur, Tiruchchirapalli, Ariyalur, Nagapattinam, Thanjavur, Thiruvarur, Nagapattinam, Pudukkotai, Dindigul, Theni, Madurai, Sivagangai, Ramanathapuram, Virudunagar, Tirunelveli, Thoothukudi, Kanniyakumari, Hosur, Rajapalayam, Puduchcheri, Kerala. This iV-Pro Model iV-CA4W-iP4-POE is a Pro Metal Outdoor 4 Megapixel 1580p Full iP-HD POE Security Camera with "THE NEXT GENERATION 4DX OV 4689 HD SERIES IMAGE PROCESSING SOLUTION" engineered to provide extremely crisp and clear images at minimal bandwidth. The Ultra Series includes a wide range of high performance IR Array cameras that are built to deliver exceptional video images with true vivid colors and wide and clearer night vision, thanks to the new Array IR technology that promises better results and a longer life span over any Cat6 Cable with iV-Pro s POE Switches which can achieve a distance of up to 100 Meters to 250 Meters including long distance transmission of up to 20 Kilometers using Fiber Optic Cables with iV-Pro s Fiber Port Switches. This iV-Pro Model iV-CA2FH-iP4-POE is a Pro Metal Outdoor 4 Megapixel 1580p Full iP-HD POE Security Camera with "THE NEXT GENERATION 4DX OV 4689 HD SERIES IMAGE PROCESSING SOLUTION" engineered to provide extremely crisp and clear images at minimal bandwidth. The Ultra Series includes a wide range of high performance IR Array cameras that are built to deliver exceptional video images with true vivid colors and wide and clearer night vision, thanks to the new Array IR technology that promises better results and a longer life span over any Cat6 Cable with iV-Pro s POE Switches which can achieve a distance of up to 100 Meters to 250 Meters including long distance transmission of up to 20 Kilometers using Fiber Optic Cables with iV-Pro s Fiber Port Switches. 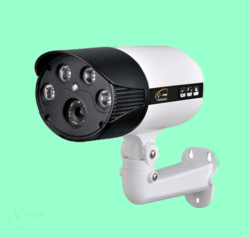 This iV-Pro Model iV-CA2BWK-iP4-POE is a Pro Metal Outdoor 4 Megapixel 1580p Full iP-HD POE Security Camera with "THE NEXT GENERATION 4DX OV 4689 HD SERIES IMAGE PROCESSING SOLUTION" engineered to provide extremely crisp and clear images at minimal bandwidth. The Ultra Series includes a wide range of high performance IR Array cameras that are built to deliver exceptional video images with true vivid colors and wide and clearer night vision, thanks to the new Array IR technology that promises better results and a longer life span over any Cat6 Cable with iV-Pro s POE Switches which can achieve a distance of up to 100 Meters to 250 Meters including long distance transmission of up to 20 Kilometers using Fiber Optic Cables with iV-Pro s Fiber Port Switches. This iV-Pro Model : iV-CA4R-VF50-iP4-POE is a Ultra 4 Megapixel 1580p Full iP-HD POE Security Camera with “THE NEXT GENERATION 4DX OV 4689 SERIES IMAGE PROCESSING SOLUTION” engineered to provide extremely crisp and clear images at minimal bandwidth. The Ultra Series includes a wide range of high performance IR Array cameras that are built to deliver exceptional video images with true vivid colors and wide and clearer night vision, thanks to the new Array IR technology that promises better results and a longer life span over any Cat6 Cable with iV-Pro s POE Switches which can achieve a distance of up to 100 Meters to 250 Meters including long distance transmission of up to 20 Kilometers using Fiber Optic Cables with iV-Pro s Fiber Port Switches. 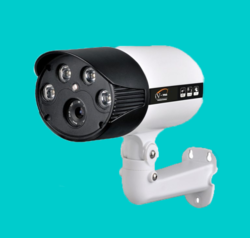 We Are The Leading Manufacturer And Suppliers of this IP CA4R – VF50 IP4 – POE – 4.0 Megapixel Camera in South India Such As Thiruvallur, Chennai, Kancheepuram, Vellore, Thiruvannamalai, Krishnagiri, Dharamapuri, Villipuram, Cuddalore, Salem, Erode, Namakal, Perambalur, Nilgiris, Coimbatore, Tiruppur, Karur, Tiruchchirapalli, Ariyalur, Nagapattinam, Thanjavur, Thiruvarur, Nagapattinam, Pudukkotai, Dindigul, Theni, Madurai, Sivagangai, Ramanathapuram, Virudunagar, Tirunelveli, Thoothukudi, Kanniyakumari, Hosur, Rajapalayam, Puduchcheri, Kerala. This iV-Pro Model iV-CA1FH-iP4-POE is a Pro Metal Outdoor 4 Megapixel 1580p Full iP-HD POE Security Camera with "THE NEXT GENERATION 4DX OV 4689 HD SERIES IMAGE PROCESSING SOLUTION" engineered to provide extremely crisp and clear images at minimal bandwidth. The Ultra Series includes a wide range of high performance IR Array cameras that are built to deliver exceptional video images with true vivid colors and wide and clearer night vision, thanks to the new Array IR technology that promises better results and a longer life span over any Cat6 Cable with iV-Pro s POE Switches which can achieve a distance of up to 100 Meters to 250 Meters including long distance transmission of up to 20 Kilometers using Fiber Optic Cables with iV-Pro s Fiber Port Switches. 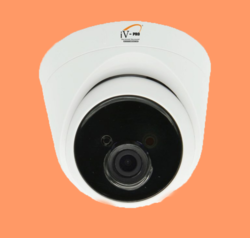 Ths iV-Pro Model : iV-DA2W-iP5-POE is a Ultra 5 Megapixel 1980p Full iP-HD POE Security Camera with “ THE NEXT GENERATION SONY IMX 178 HD SERIES IMAGE PROCESSING SOLUTION ” engineered to provide extremely crisp and clear images at minimal bandwidth. The Ultra Series includes a wide range of high performance IR Array cameras that are built to deliver exceptional video images with true vivid colors and wide and clearer night vision, thanks to the new Array IR technology that promises better results and a longer life span over any Cat6 Cable with iV-Pro s POE Switches which can achieve a distance of up to 100 Meters to 250 Meters including long distance transmission of up to 20 Kilometers using Fiber Optic Cables with iV-Pro s Fiber Port Switches. 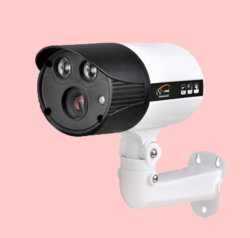 We Are The Leading Manufacturer And Suppliers of this IP DA2W- IP5 – POE – 5 Megapixel Camera in South India Such As Thiruvallur, Chennai, Kancheepuram, Vellore, Thiruvannamalai, Krishnagiri, Dharamapuri, Villipuram, Cuddalore, Salem, Erode, Namakal, Perambalur, Nilgiris, Coimbatore, Tiruppur, Karur, Tiruchchirapalli, Ariyalur, Nagapattinam, Thanjavur, Thiruvarur, Nagapattinam, Pudukkotai, Dindigul, Theni, Madurai, Sivagangai, Ramanathapuram, Virudunagar, Tirunelveli, Thoothukudi, Kanniyakumari, Hosur, Rajapalayam, Puduchcheri, Kerala. 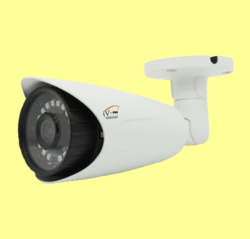 This iV-Pro Model : iV-CA6W-iP5-POE is a Pro Metal Outdoor 5 Megapixel 1980p Full iP-HD POE Security Camera with “THE NEXT GENERATION SONY IMX 178 HD SERIES IMAGE PROCESSING SOLUTION” engineered to provide extremely crisp and clear images at minimal bandwidth. The Ultra Series includes a wide range of high performance IR Array cameras that are built to deliver exceptional video images with true vivid colors and wide and clearer night vision, thanks to the new Array IR technology that promises better results and a longer life span over any Cat6 Cable with iV-Pro s POE Switches which can achieve a distance of up to 100 Meters to 250 Meters including long distance transmission of up to 20 Kilometers using Fiber Optic Cables with iV-Pro s Fiber Port Switches. This iV-Pro Model : iV-CA1FH-iP5-POE is a Pro Metal Outdoor 5 Megapixel 1980p Full iP-HD POE Security Camera with “THE NEXT GENERATION SONY IMX 178 HD SERIES IMAGE PROCESSING SOLUTION” engineered to provide extremely crisp and clear images at minimal bandwidth. The Ultra Series includes a wide range of high performance IR Array cameras that are built to deliver exceptional video images with true vivid colors and wide and clearer night vision, thanks to the new Array IR technology that promises better results and a longer life span over any Cat6 Cable with iV-Pro s POE Switches which can achieve a distance of up to 100 Meters to 250 Meters including long distance transmission of up to 20 Kilometers using Fiber Optic Cables with iV-Pro s Fiber Port Switches. This iV-Pro Model : iV-CA2FH-iP5-POE is a Pro Metal Outdoor 5 Megapixel 1980p Full iP-HD POE Security Camera with “THE NEXT GENERATION SONY IMX 178 HD SERIES IMAGE PROCESSING SOLUTION” engineered to provide extremely crisp and clear images at minimal bandwidth. The Ultra Series includes a wide range of high performance IR Array cameras that are built to deliver exceptional video images with true vivid colors and wide and clearer night vision, thanks to the new Array IR technology that promises better results and a longer life span over any Cat6 Cable with iV-Pro s POE Switches which can achieve a distance of up to 100 Meters to 250 Meters including long distance transmission of up to 20 Kilometers using Fiber Optic Cables with iV-Pro s Fiber Port Switches. 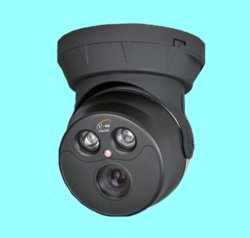 We Are The Leading Manufacturer And Suppliers of this IP CA2FH - IP5 - POE – 5 Megapixel Camera in South India Such As Thiruvallur, Chennai, Kancheepuram, Vellore, Thiruvannamalai, Krishnagiri, Dharamapuri, Villipuram, Cuddalore, Salem, Erode, Namakal, Perambalur, Nilgiris, Coimbatore, Tiruppur, Karur, Tiruchchirapalli, Ariyalur, Nagapattinam, Thanjavur, Thiruvarur, Nagapattinam, Pudukkotai, Dindigul, Theni, Madurai, Sivagangai, Ramanathapuram, Virudunagar, Tirunelveli, Thoothukudi, Kanniyakumari, Hosur, Rajapalayam, Puduchcheri, Kerala. This iV-Pro Model : iV-CA4R-VF-iP4-POE is a Ultra 4 Megapixel 1580p Full iP-HD POE Security Camera with “THE NEXT GENERATION 4DX OV 4689 SERIES IMAGE PROCESSING SOLUTION “ engineered to provide extremely crisp and clear images at minimal bandwidth. The Ultra Series includes a wide range of high performance IR Array cameras that are built to deliver exceptional video images with true vivid colors and wide and clearer night vision, thanks to the new Array IR technology that promises better results and a longer life span over any Cat6 Cable with iV-Pro s POE Switches which can achieve a distance of up to 100 Meters to 250 Meters including long distance transmission of up to 20 Kilometers using Fiber Optic Cables with iV-Pro s Fiber Port Switches. 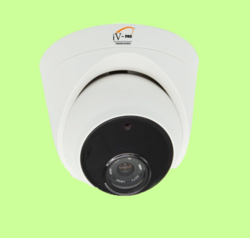 We Are The Leading Manufacturer And Suppliers of this IP CA4R - VF IP4 - POE - 4.0 Megapixel Camera in South India Such As Thiruvallur, Chennai, Kancheepuram, Vellore, Thiruvannamalai, Krishnagiri, Dharamapuri, Villipuram, Cuddalore, Salem, Erode, Namakal, Perambalur, Nilgiris, Coimbatore, Tiruppur, Karur, Tiruchchirapalli, Ariyalur, Nagapattinam, Thanjavur, Thiruvarur, Nagapattinam, Pudukkotai, Dindigul, Theni, Madurai, Sivagangai, Ramanathapuram, Virudunagar, Tirunelveli, Thoothukudi, Kanniyakumari, Hosur, Rajapalayam, Puduchcheri, Kerala. This iV-Pro Model : iV-CA4R-VF22-iP4-POE is a Ultra 4 Megapixel 1580p Full iP-HD POE Security Camera with “THE NEXT GENERATION 4DX OV 4689 SERIES IMAGE PROCESSING SOLUTION” engineered to provide extremely crisp and clear images at minimal bandwidth. The Ultra Series includes a wide range of high performance IR Array cameras that are built to deliver exceptional video images with true vivid colors and wide and clearer night vision, thanks to the new Array IR technology that promises better results and a longer life span over any Cat6 Cable with iV-Pro s POE Switches which can achieve a distance of up to 100 Meters to 250 Meters including long distance transmission of up to 20 Kilometers using Fiber Optic Cables with iV-Pro s Fiber Port Switches. 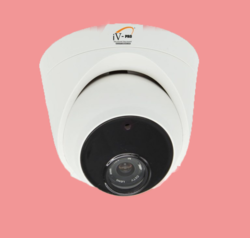 We Are The Leading Manufacturer And Suppliers of this IP CA4R – VF22 IP4 – POE – 4.0 Megapixel Camera in South India Such As Thiruvallur, Chennai, Kancheepuram, Vellore, Thiruvannamalai, Krishnagiri, Dharamapuri, Villipuram, Cuddalore, Salem, Erode, Namakal, Perambalur, Nilgiris, Coimbatore, Tiruppur, Karur, Tiruchchirapalli, Ariyalur, Nagapattinam, Thanjavur, Thiruvarur, Nagapattinam, Pudukkotai, Dindigul, Theni, Madurai, Sivagangai, Ramanathapuram, Virudunagar, Tirunelveli, Thoothukudi, Kanniyakumari, Hosur, Rajapalayam, Puduchcheri, Kerala. This iV-Pro Model : iV-CA4R-VFM22-iP4-POE is a Ultra 4 Megapixel 1580p Full iP-HD POE Security Camera with “THE NEXT GENERATION 4DX OV 4689 SERIES IMAGE PROCESSING SOLUTION” engineered to provide extremely crisp and clear images at minimal bandwidth. The Ultra Series includes a wide range of high performance IR Array cameras that are built to deliver exceptional video images with true vivid colors and wide and clearer night vision, thanks to the new Array IR technology that promises better results and a longer life span over any Cat6 Cable with iV-Pro s POE Switches which can achieve a distance of up to 100 Meters to 250 Meters including long distance transmission of up to 20 Kilometers using Fiber Optic Cables with iV-Pro s Fiber Port Switches. 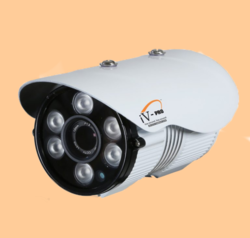 We Are The Leading Manufacturer And Suppliers of this IP CA4R – VFM22 IP4 – POE – 4.0 Megapixel Camera in South India Such As Thiruvallur, Chennai, Kancheepuram, Vellore, Thiruvannamalai, Krishnagiri, Dharamapuri, Villipuram, Cuddalore, Salem, Erode, Namakal, Perambalur, Nilgiris, Coimbatore, Tiruppur, Karur, Tiruchchirapalli, Ariyalur, Nagapattinam, Thanjavur, Thiruvarur, Nagapattinam, Pudukkotai, Dindigul, Theni, Madurai, Sivagangai, Ramanathapuram, Virudunagar, Tirunelveli, Thoothukudi, Kanniyakumari, Hosur, Rajapalayam, Puduchcheri, Kerala. 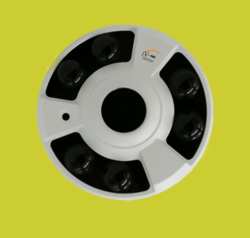 This iV-Pro Model : iV-CA4W-iP5-POE is a Pro Metal Outdoor 5 Megapixel 1980p Full iP-HD POE Security Camera with “THE NEXT GENERATION SONY IMX 178 HD SERIES IMAGE PROCESSING SOLUTION” engineered to provide extremely crisp and clear images at minimal bandwidth. The Ultra Series includes a wide range of high performance IR Array cameras that are built to deliver exceptional video images with true vivid colors and wide and clearer night vision, thanks to the new Array IR technology that promises better results and a longer life span over any Cat6 Cable with iV-Pro s POE Switches which can achieve a distance of up to 100 Meters to 250 Meters including long distance transmission of up to 20 Kilometers using Fiber Optic Cables with iV-Pro s Fiber Port Switches. 5 Megapixel 1980p Full HD Resolution Smart Array IR up to 25 Meters. 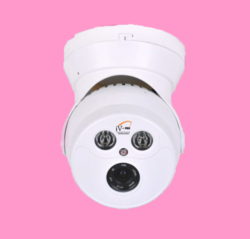 We Are The Leading Manufacturer And Suppliers of this IP CA4W - IP5 - POE - 5 Megapixel Camera in South India Such As Thiruvallur, Chennai, Kancheepuram, Vellore, Thiruvannamalai, Krishnagiri, Dharamapuri, Villipuram, Cuddalore, Salem, Erode, Namakal, Perambalur, Nilgiris, Coimbatore, Tiruppur, Karur, Tiruchchirapalli, Ariyalur, Nagapattinam, Thanjavur, Thiruvarur, Nagapattinam, Pudukkotai, Dindigul, Theni, Madurai, Sivagangai, Ramanathapuram, Virudunagar, Tirunelveli, Thoothukudi, Kanniyakumari, Hosur, Rajapalayam, Puduchcheri, Kerala. This iV-Pro Model iV-DA1W-iP4-POE is a Ultra 4 Megapixel 1580p Full iP-HD POE Security Camera with "THE NEXT GENERATION 4DX OV 4689 HD SERIES IMAGE PROCESSING SOLUTION" engineered to provide extremely crisp and clear images at minimal bandwidth. The Ultra Series includes a wide range of high performance IR Array cameras that are built to deliver exceptional video images with true vivid colors and wide and clearer night vision, thanks to the new Array IR technology that promises better results and a longer life span over any Cat6 Cable with iV-Pro s POE Switches which can achieve a distance of up to 100 Meters to 250 Meters including long distance transmission of up to 20 Kilometers using Fiber Optic Cables with iV-Pro s Fiber Port Switches. - Compact High quality structure design with new black array glass. This iV-Pro Model iV-DA2W-iP4-POE is a Ultra 4 Megapixel 1580p Full iP-HD POE Security Camera with " THE NEXT GENERATION 4DX OV 4689 HD SERIES IMAGE PROCESSING SOLUTION" engineered to provide extremely crisp and clear images at minimal bandwidth. The Ultra Series includes a wide range of high performance IR Array cameras that are built to deliver exceptional video images with true vivid colors and wide and clearer night vision, thanks to the new Array IR technology that promises better results and a longer life span over any Cat6 Cable with iV-Pro s POE Switches which can achieve a distance of up to 100 Meters to 250 Meters including long distance transmission of up to 20 Kilometers using Fiber Optic Cables with iV-Pro s Fiber Port Switches. This iV-Pro Model iV-DA6FH-iP4-POE is a Pro Metal 4 Megapixel 1580p Full iP-HD POE Security Camera with "THE NEXT GENERATION 4DX OV 4689 HD SERIES IMAGE PROCESSING SOLUTION" engineered to provide extremely crisp and clear images at minimal bandwidth. The Ultra Series includes a wide range of high performance IR Array cameras that are built to deliver exceptional video images with true vivid colors and wide and clearer night vision, thanks to the new Array IR technology that promises better results and a longer life span over any Cat6 Cable with iV-Pro s POE Switches which can achieve a distance of up to 100 Meters to 250 Meters including long distance transmission of up to 20 Kilometers using Fiber Optic Cables with iV-Pro s Fiber Port Switches. 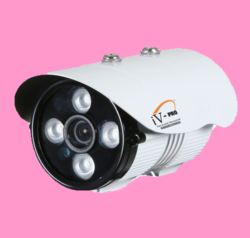 We Are The Leading Manufacturer And Suppliers of this IP DA6FH - 1P4 - POE 4 Megapixel Camera in South India Such As Thiruvallur, Chennai, Kancheepuram, Vellore, Thiruvannamalai, Krishnagiri, Dharamapuri, Villipuram, Cuddalore, Salem, Erode, Namakal, Perambalur, Nilgiris, Coimbatore, Tiruppur, Karur, Tiruchchirapalli, Ariyalur, Nagapattinam, Thanjavur , Thiruvarur, Nagapattinam, Pudukkotai, Dindigul, Theni, Madurai, Sivagangai, Ramanathapuram, Virudunagar, Tirunelveli, Thoothukudi, Kanniyakumari, Hosur, Rajapalayam, Puduchcheri, Kerala. This iV-Pro Model : iV-CA6W-iP4-POE is a Pro Metal Outdoor 4 Megapixel 1580p Full iP-HD POE Security Camera with “ THE NEXT GENERATION 4DX OV 4689 HD SERIES IMAGE PROCESSING SOLUTION” engineered to provide extremely crisp and clear images at minimal bandwidth. The Ultra Series includes a wide range of high performance IR Array cameras that are built to deliver exceptional video images with true vivid colors and wide and clearer night vision, thanks to the new Array IR technology that promises better results and a longer life span over any Cat6 Cable with iV-Pro s POE Switches which can achieve a distance of up to 100 Meters to 250 Meters including long distance transmission of up to 20 Kilometers using Fiber Optic Cables with iV-Pro s Fiber Port Switches. 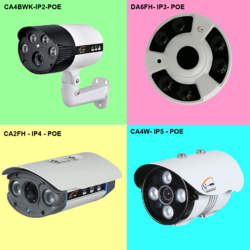 We Are The Leading Manufacturer And Suppliers of this IP CA6W - IP4 - POE - 4 Megapixel Camera in South India Such As Thiruvallur, Chennai, Kancheepuram, Vellore, Thiruvannamalai, Krishnagiri, Dharamapuri, Villipuram, Cuddalore, Salem, Erode, Namakal, Perambalur, Nilgiris, Coimbatore, Tiruppur, Karur, Tiruchchirapalli, Ariyalur, Nagapattinam, Thanjavur, Thiruvarur, Nagapattinam, Pudukkotai, Dindigul, Theni, Madurai, Sivagangai, Ramanathapuram, Virudunagar, Tirunelveli, Thoothukudi, Kanniyakumari, Hosur, Rajapalayam, Puduchcheri, Kerala. This iV-Pro Model : iV-DA2BK-iP5-POE is a Ultra Metal 5 Megapixel 1980p Full iP-HD POE Security Camera with “ THE NEXT GENERATION SONY IMX 178 HD SERIES IMAGE PROCESSING SOLUTION “ engineered to provide extremely crisp and clear images at minimal bandwidth. The Ultra Series includes a wide range of high performance IR Array cameras that are built to deliver exceptional video images with true vivid colors and wide and clearer night vision, thanks to the new Array IR technology that promises better results and a longer life span over any Cat6 Cable with iV-Pro s POE Switches which can achieve a distance of up to 100 Meters to 250 Meters including long distance transmission of up to 20 Kilometers using Fiber Optic Cables with iV-Pro s Fiber Port Switches. 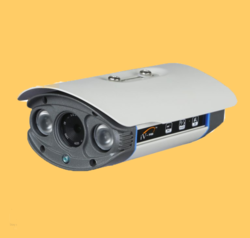 We Are The Leading Manufacturer And Suppliers of this IP DA2BK- IP5 - POE – 5 Megapixel Camera in South India Such As Thiruvallur, Chennai, Kancheepuram, Vellore, Thiruvannamalai, Krishnagiri, Dharamapuri, Villipuram, Cuddalore, Salem, Erode, Namakal, Perambalur, Nilgiris, Coimbatore, Tiruppur, Karur, Tiruchchirapalli, Ariyalur, Nagapattinam, Thanjavur, Thiruvarur, Nagapattinam, Pudukkotai, Dindigul, Theni, Madurai, Sivagangai, Ramanathapuram, Virudunagar, Tirunelveli, Thoothukudi, Kanniyakumari, Hosur, Rajapalayam, Puduchcheri, Kerala. 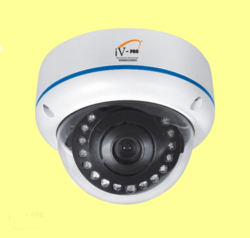 This iV-Pro Model : iV-DA2WK-iP5-POE is a Pro Vandal Metal 5 Megapixel 1980p Full iP-HD POE Security Camera with “THE NEXT GENERATION SONY IMX 178 HD SERIES IMAGE PROCESSING SOLUTION” engineered to provide extremely crisp and clear images at minimal bandwidth. The Ultra Series includes a wide range of high performance IR Array cameras that are built to deliver exceptional video images with true vivid colors and wide and clearer night vision, thanks to the new Array IR technology that promises better results and a longer life span over any Cat6 Cable with iV-Pro s POE Switches which can achieve a distance of up to 100 Meters to 250 Meters including long distance transmission of up to 20 Kilometers using Fiber Optic Cables with iV-Pro s Fiber Port Switches. This iV-Pro Model : iV-D21V-iP5-POE is a is a Ultra Vandal Metal 5 Megapixel 1980p Full iP-HD POE Security Camera with “ THE NEXT GENERATION SONY IMX 178 HD SERIES IMAGE PROCESSING SOLUTION” engineered to provide extremely crisp and clear images at minimal bandwidth. The Ultra Series includes a wide range of high performance IR Array cameras that are built to deliver exceptional video images with true vivid colors and wide and clearer night vision, thanks to the new Array IR technology that promises better results and a longer life span over any Cat6 Cable with iV-Pro s POE Switches which can achieve a distance of up to 100 Meters to 250 Meters including long distance transmission of up to 20 Kilometers using Fiber Optic Cables with iV-Pro s Fiber Port Switches. This iV-Pro Model : iV-CA2BWK-iP5-POE is a Pro Metal Outdoor 5 Megapixel 1980p Full iP-HD POE Security Camera with “THE NEXT GENERATION SONY IMX 178 HD SERIES IMAGE PROCESSING SOLUTION” engineered to provide extremely crisp and clear images at minimal bandwidth. The Ultra Series includes a wide range of high performance IR Array cameras that are built to deliver exceptional video images with true vivid colors and wide and clearer night vision, thanks to the new Array IR technology that promises better results and a longer life span over any Cat6 Cable with iV-Pro s POE Switches which can achieve a distance of up to 100 Meters to 250 Meters including long distance transmission of up to 20 Kilometers using Fiber Optic Cables with iV-Pro s Fiber Port Switches. · 5 Megapixel 1980p Full HD Resolution High Power Array IR up to 60 Meters. · Advanced H.265 Compression technology takes less hard disk space. 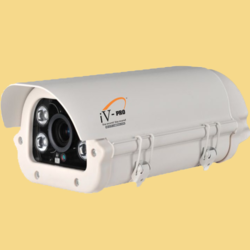 This iV-Pro Model : iV-CA4BWK-iP5-POE is a Pro Metal Outdoor 5 Megapixel 1980p Full iP-HD POE Security Camera with “THE NEXT GENERATION SONY IMX 178 HD SERIES IMAGE PROCESSING SOLUTION” engineered to provide extremely crisp and clear images at minimal bandwidth. The Ultra Series includes a wide range of high performance IR Array cameras that are built to deliver exceptional video images with true vivid colors and wide and clearer night vision, thanks to the new Array IR technology that promises better results and a longer life span over any Cat6 Cable with iV-Pro s POE Switches which can achieve a distance of up to 100 Meters to 250 Meters including long distance transmission of up to 20 Kilometers using Fiber Optic Cables with iV-Pro s Fiber Port Switches. This iV-Pro Model iV-CA4BWK-iP4-POE is a Pro Metal Outdoor 4 Megapixel 1580p Full iP-HD POE Security Camera with "THE NEXT GENERATION 4DX OV 4689 HD SERIES IMAGE PROCESSING SOLUTION" engineered to provide extremely crisp and clear images at minimal bandwidth. The Ultra Series includes a wide range of high performance IR Array cameras that are built to deliver exceptional video images with true vivid colors and wide and clearer night vision, thanks to the new Array IR technology that promises better results and a longer life span over any Cat6 Cable with iV-Pro s POE Switches which can achieve a distance of up to 100 Meters to 250 Meters including long distance transmission of up to 20 Kilometers using Fiber Optic Cables with iV-Pro s Fiber Port Switches. Looking for IP MEGAPIXEL CCTV CAMERA - 4 & 5 MEGAPIXEL ?